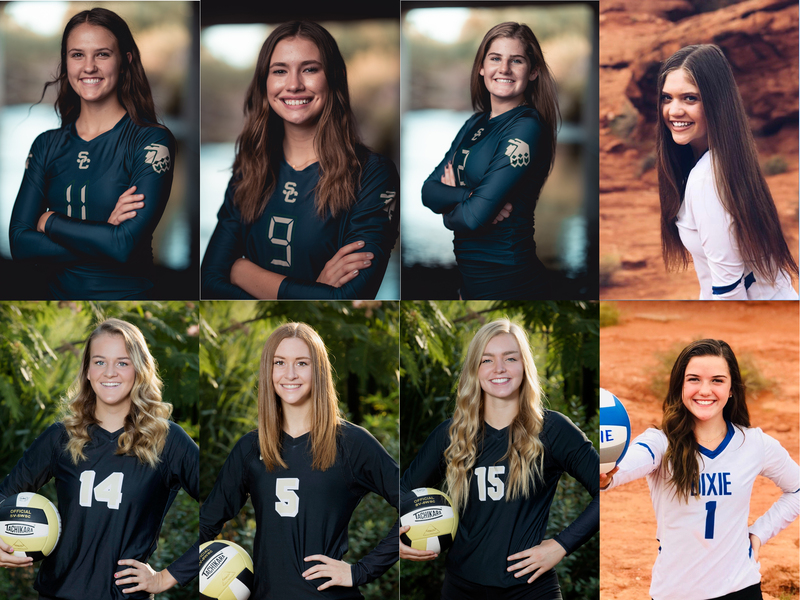 ST. GEORGE — Snow Canyon High School star hitter Sammi Johnston was named the most valuable player in Region 9, the region’s volleyball coaches recently announced. Johnston, a senior, helped the Lady Warriors to an overall record of 18 wins and 12 losses this season, including a 9-1 record against Region 9 competition. Snow Canyon tied with Desert Hills as region co-champions. Johnston finished the season with 383 total kills and a hitting percentage of .268. She also accumulated 279 digs, 70 blocks and 40 service aces, her father and head coach Dave Johnston told St. George News. Johnston said his daughter has committed to play volleyball for the Salt Lake Community College Lady Bruins and will be graduating high school early to begin attending SLCC in January. Following are the other members of Region 9’s all-region first and second teams, as voted on by the coaches, in addition to those players receiving honorable mention. Sammi Johnston (MVP), Snow Canyon. Hallie Remund , Snow Canyon.